Raju is a name synonymous with a simpleton who wants to make it big in the world, be it Raju from Raju Ban Gaya Gentleman or Raj from Awara. It is interesting that Raju in the film Wrong Side Raju wants to make it big not in Mumbai or Delhi, but in his own city of Ahmedabad. 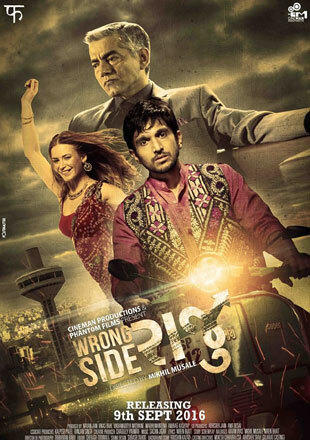 Wrong Side Raju is two scripts which get mixed up in one film. The love story aspect is clearly inspired from Guide and the thriller part of the movie reminded me of Primal Fear, though it would be harsh to say that it is an exact copy of the movie. The film is ambitious but the problem is that the director isn’t equally ambitious. After we witness the energetic first ten minutes, we suddenly get to see a love story which seems to be added as an afterthought. Any love story works due to the chemistry between its characters, which is sorely missing here. The reason being the actress here cannot act, we rarely see any competent western actor in our films and this one again is no exception There is no reason why this character needed to be a foreigner. In fact, the whole track seems a bit ridiculous, when you have already established Raju as a level-headed character. What interested me in particular was the character of Raju, he is a guy who knows his place in the system. When cops ask him to sit he does not sit. He knows how to succeed into the system, and he has to respect those who wield power. He takes the risk of being an entrepreneur, who knows there is an opportunity in selling alcohol in a dry state. This becomes more significant considering that himself does not drink, the irrationality of state government deciding what people should drink or not is not lost on him, and he uses the same draconian law to his advantage later. 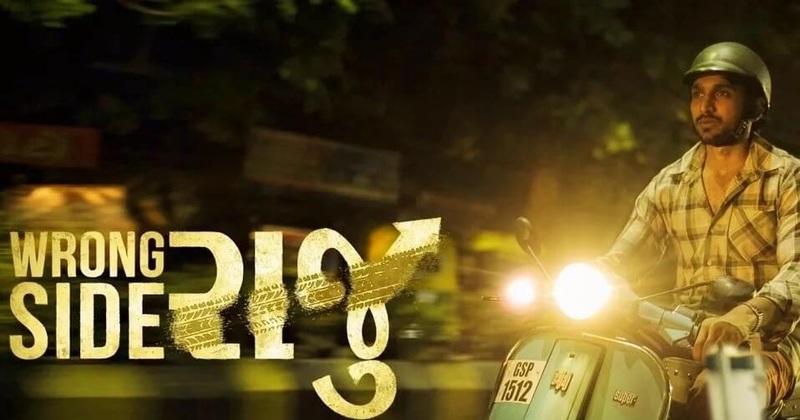 The filmmakers have promoted it as famous hit and run case in Gujarat, credit to be given where it is due and the director is interested in how a common man works or seeks justice under a flawed system. Raju is brilliantly played by Pratik Gandhi, I must admit I am unaware of his previous work.I was impressed and he is an actor to watch out for. The role if played by an actor of lesser calibre would have ended as a caricature. The way he uplifts many scenes, like in one of the court scenes, the prosecution lawyer calls him bootlegger, the camera zooms in for a second and you can feel the pain of Raju. The other scene is where he comes back to pick his cloth bag, from Shah’s office. It is good to see a film which celebrates a hero like Raju who may be depicted in shade of black in Bollywood cinema. In fact, there is not even a proper backstory on why he is a bootlegger, here is a man who knows how to beat the system and has a sense of right and wrong. I am not sure if apart from Pratik anyone could have pulled off such a role, especially the last ten minutes. Overall the film worked in parts for me, and when it did it never bored me and kept me hooked. The only grouse being that for a film which is touted as a thriller it is a little too lengthy. But Raju wins our heart and I would certainly suggest that one can watch it just for Prateik Gandhi’s performance.